The first two rehearsals are open to anyone who would like to come and check out chorus for the first time with no obligation to join. Be sure to spread the word and bring your friends! Can't make the first rehearsals? No problem! We accept new members through our second week of rehearsals. Singers may attend either or both the Wednesday night and Thursday morning rehearsals. The theme this spring will be "The Road Home" featuring beautiful songs about home and travel. Founder/director Becky Graber will be joined at a rehearsal by Moira Smiley whose song “The Little Road” is in the repertoire. Other songs for the spring include “I’m Gonna Walk It With You,” “The Road Home,” and “People Get Ready” by Curtis Mayfield. For links to possible songs and more information about the coming semester, read our director, Becky Graber's letter to chorus members about early registration. Are you looking for healthful ways to feel good? Singing has been shown to do just that! 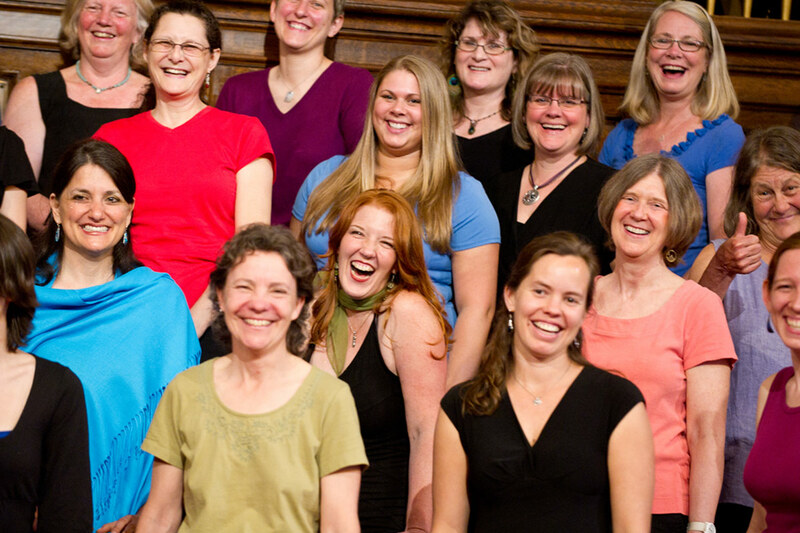 And the Brattleboro Women's Chorus offers any woman or girl age 10 and over the opportunity to create music in a community of other singers. All women and girls over 10 are welcome, and there are no auditions. Reading music is optional since music is taught by rote and by ear with part recordings available. The intent is to make singing accessible to anyone regardless of experience. Music is an eclectic mix from around the world that is spirited and spiritual. Founder/director Becky Graber traveled with 18 chorus members to the Sister Singers Festival in Grand Rapids, MI in June, where they not only performed but also heard lots of wonderful music by other women’s choruses. Some of these songs will be included in the spring repertoire. To get a sense of the varied music we sing, here is a list of all the songs we've sung in our concerts or you can listen to a few sample tracks from our CD! While many singers enjoy performing, some prefer to sing weekly and not participate in the concert at the end of the session (Mother's Day weekend, May 11 & 12). The fee is $120 for adults, family pairs are $190 and students are $70. Financial aid is available so that chorus can be affordable to all. Our Financial Aid application can be found here and can be submitted with a $20 deposit by the date listed on the application.